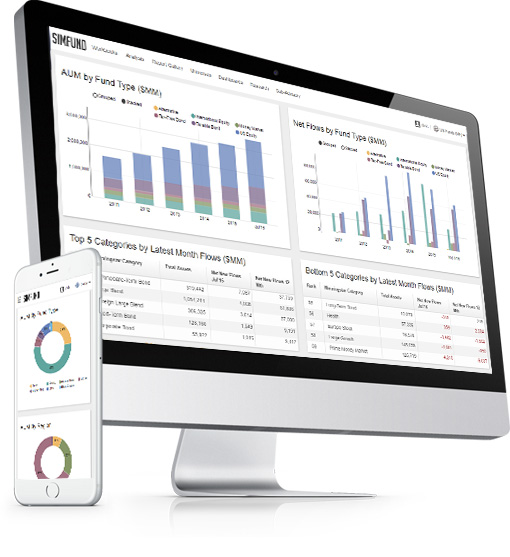 Simfund Enterprise is the leading business intelligence platform for the global asset management industry. Our integrated, cloud-based platform tracks the most expansive list of mutual funds and ETFs, regardless of market availability, vehicle type, or distribution channel. Simfund offers a spectrum of business intelligence delivery mechanisms, ranging from insightful commentary to raw industry data. It is a flexible database with global coverage of $34 trillion, and integrated with 15 data sources. Shareable data workbooks, advanced analysis functionality, print-ready factsheets and dynamic dashboards. 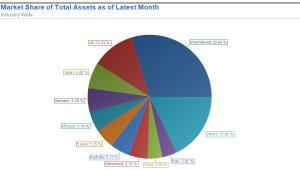 $34 trillion in AUM tracked across 75,000 funds in over 45 markets. See the completely revamped Simfund platform. Clients can also leverage our additional modules, which focus on specific markets such as Canada and Australia or specific segments such as Subadvisory. 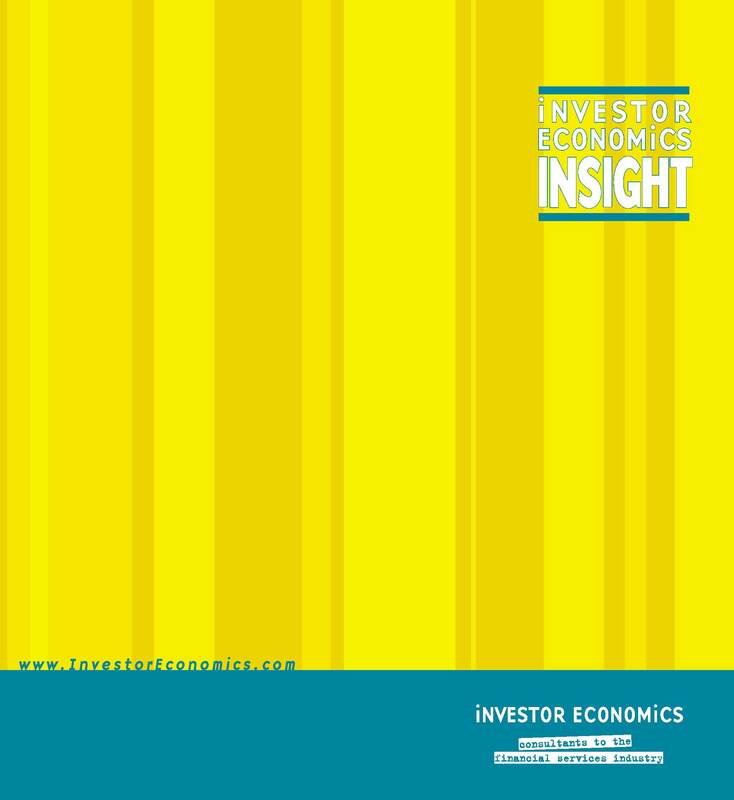 For more than 30 years, Strategic Insight has been at the forefront of thorough, unbiased mutual fund industry research and business intelligence. Simfund Dash is an innovative reporting tool that generates high quality, presentation ready fund industry analysis in seconds. Dash's highly customizable reports incorporate data from a variety of leading fund information providers including Morningstar, Lipper and Plan For Life as well as Strategic Insight's own world class research. Save the reports you create and share with others or export to Excel, PDF or Word for use in your own presentations. At Investor Economics, we provide our clients with a comprehensive assessment of the financial services industry at large. We collect a massive amount of data and translate it into easy-to-understand analysis. The completeness and continuity of our data allows our team to constantly challenge the norm, identify new trends, and introduce new ways of looking at the marketplace. Net Flows, Assets, Total Returns in multiple currencies and additional details available for over 10,000 local funds. 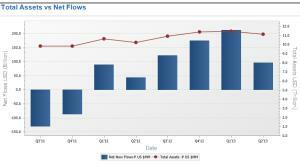 Net Flows and Assets for over 250 offshore products with assets and flows from Chilean AFP's. Detailed 3 year historical data available for all markets. Over 150 data points available including Fund Launch Dates, SI Categories and Objectives, Lipper Classifications and additional market specific data points such as Anbima classifications. Simfund Dash Global features sleek, presentation ready charts and tables to satisfy your reporting needs. Our global fund database provides over 160 data points on more than 80,000 portfolios. It's easy to combine multiple reports into workbooks to share with colleagues. 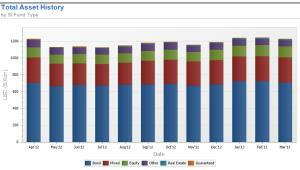 All Dash reports are automatically updated each month with our latest data. Technical related inquiries should be directed to our support team in New York via email (support@sionline.com) or telephone (+1-212-217-6899).